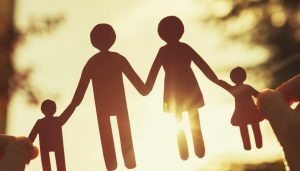 “At New Leaf we believe that family members are equally important in the recovery of a family member or friend, living through the recovery process can be a trying time. At New Leaf we look at the both the recovery journey for the family member and the remainder of the family, as well as the family member’s experience of an addict’s recovery journey and its impact on them. Once we understand their thoughts and feelings we can help their loved ones understand the effect their behaviours have on those around them. We look at ways we can support families in living with addiction and in supporting people to overcome the many challenges of an addicted lifestyle. Our trained counsellors cover these topics with individuals in one to ones and also group sessions. Family and relationship mediation is also available to New Leaf clients. We’ve produced a guide for families and loved ones of individuals seeking recovery from substance misuse, compiled by professionals, individuals and family members who have been affected by addiction. It provides information about “enabling” and “fixing” substance abusers, as well as details of how further information and support groups can be accessed. This guide is available to family members, friends, and anyone else living with addiction”.